Some might find these ways cheesy and some might find them cute, adorable and creative. Whatever you perceive, one thing you would say is that it is a whole new way of expressing your feelings of love, gratitude, apology and thankfulness. 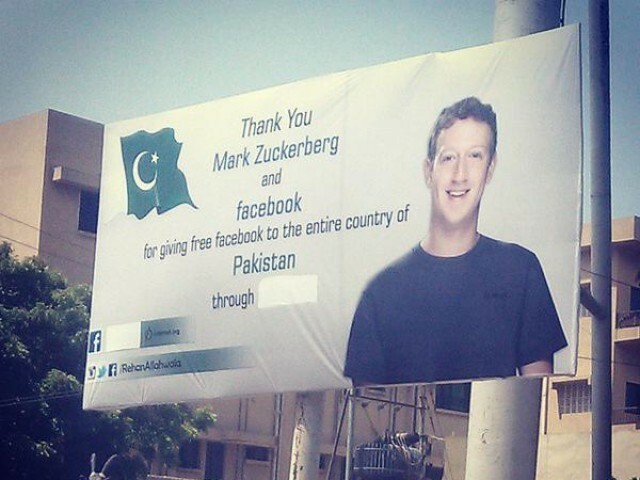 All of these banners, billboards, street art and hoardings are seen in different cities of Pakistan, mainly Lahore and Karachi. 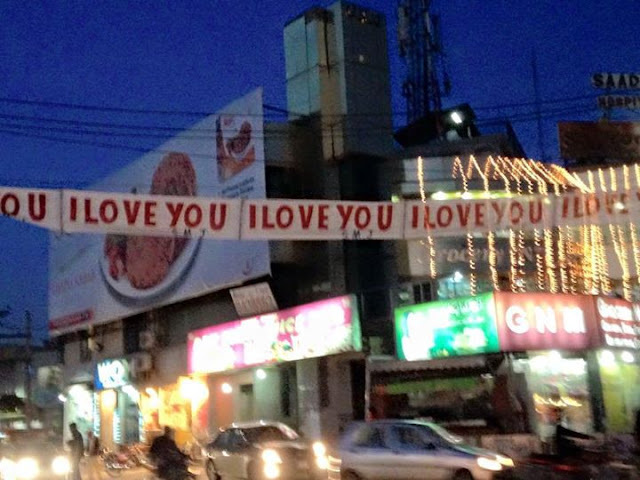 See how Pakistanis are using marketing-methods to show their feelings to their special ones. 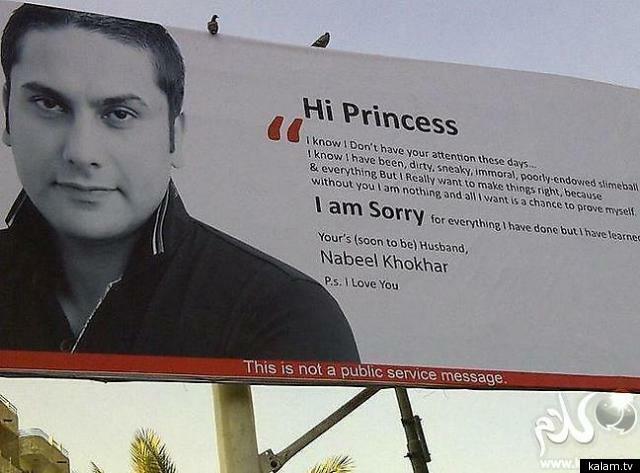 There are several people who appreciated the feelings behind these messages and several people in society criticized them for being too bold and using a western-kind-of approach. 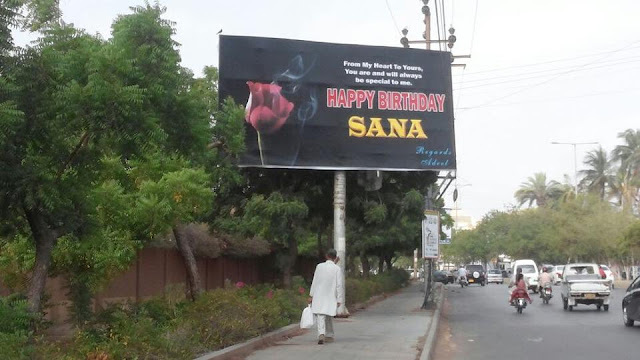 This would make every 'Sana' in town happy, lol. 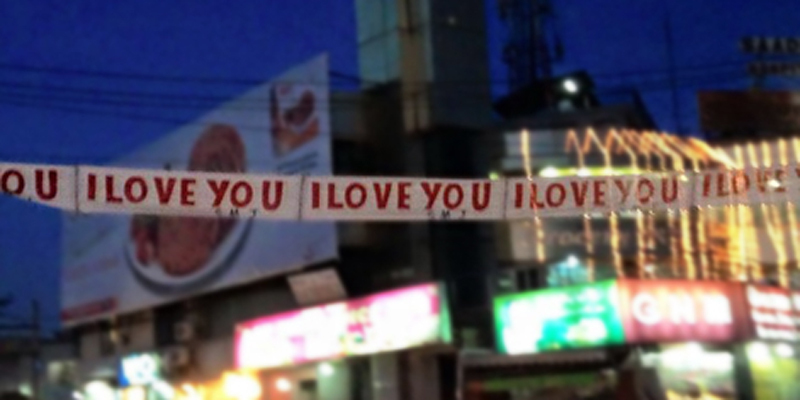 These I LOVE YOU banners were seen at round-about of Allah-Chowk, Johar Town, Lahore on March 09, 2015. 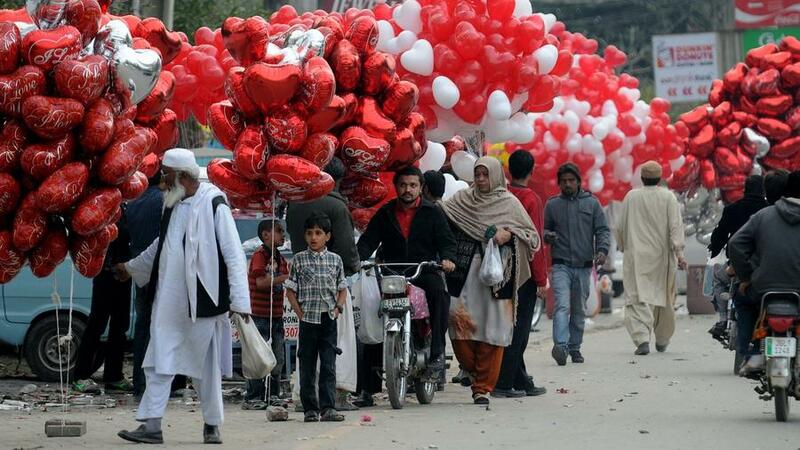 This happened near Lahore when a villager decorated the entire path from main road to his home with roses to welcome his in-laws. These balloons weren't for sale. 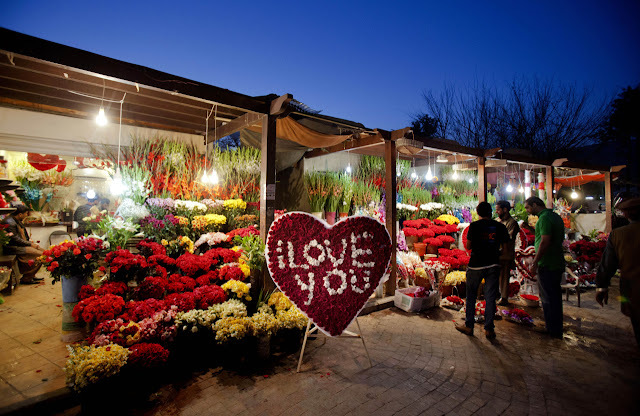 Actually, a guy decorated the roadsides to show his love for her girlfriend on valentine's day.